Room to Roam!Secluded 104Acs+/-Located close to Ski Slopes & Interstates! 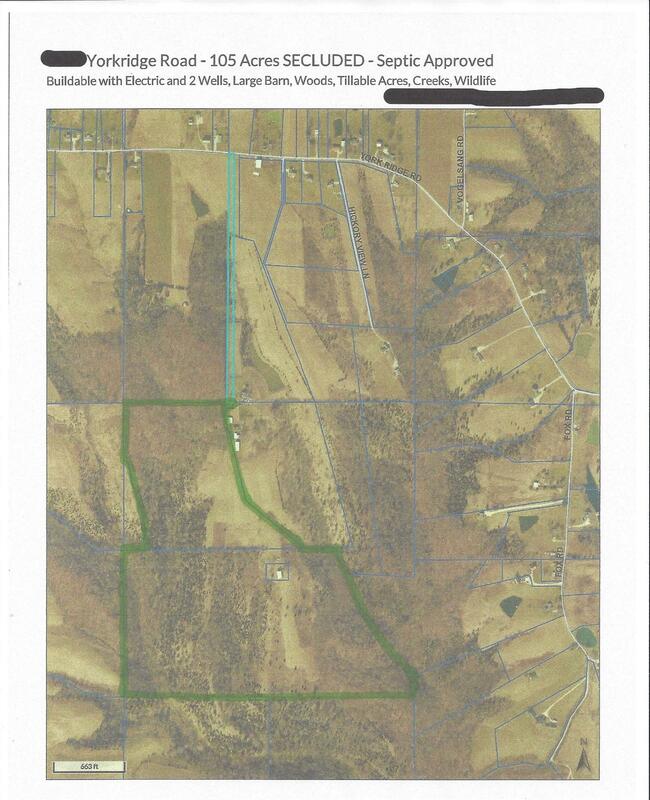 1Lg Barn, 2 Wells, soil site testing has been approved by Dearborn County Health in Dec2017. Woods,creek,lvl/rolling/hilly land. Great Hunting,wildlife,& more! *No Drivebys,selcluded property.